I am back at the blog after a summer hiatus and I’m excited about the season. You know the reason already–change. If you’re reading here, you probably already know all about the changes from last season–Rick’s out, Flip’s in, Love’s out, Wiggins is in, the Wolves are gambling the farm on young talent, yet have failed to move numerous veteran players on bad contracts who promise threaten to slow the youngins’ development, and that this odd mix of the young and the promising and the old(er) and overpaid could create locker room weirdness. Being away from blogging for a few months can serve to restore, or alter, a blogger’s perspective. You can’t read everything, you’re not farming for tidbits to harvest, and you have time to step back and take a longer view on why it is you’re blogging in the first place. For me as a Wolves blogger, this has allowed a kind of introspection about the real meaning of all of the changes to the franchise’s architecture. The issues I’ve kept returning to are simple, fundamental, and, I believe, are ultimately the ones that will make or break fans’ retrospective on 2014-15 when they look back at the upcoming season, and the offseason changes that preceded it, in the coming years: competitiveness and progress. 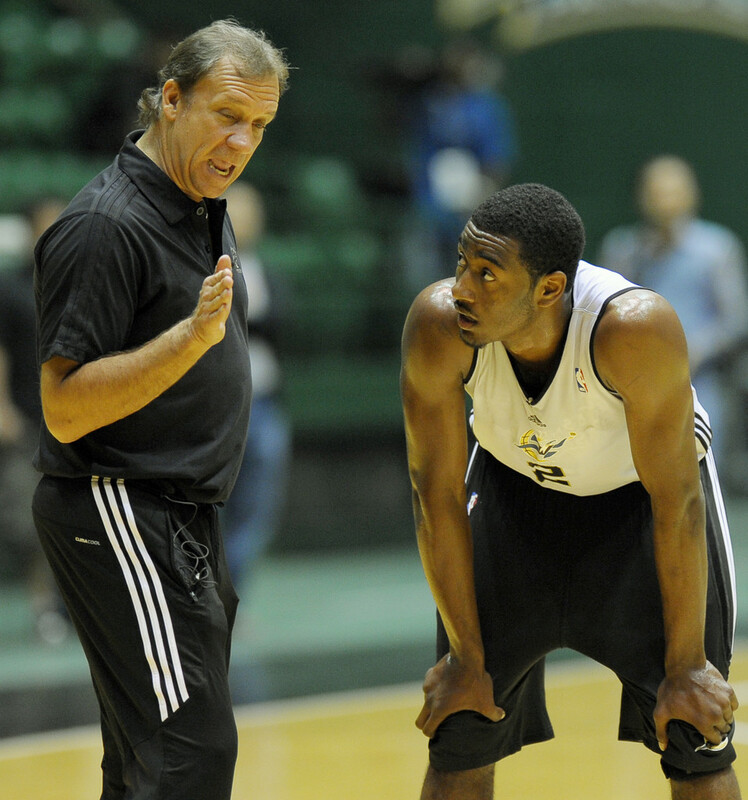 A common complaint made by NBA coaches is that there is never enough time to practice. The regular season runs 82 games long and includes road trips, red-eye flights, and back-to-back games played without having had enough rest. On precious off days, coaches are left with exhausted if not injured players. Once the season gets going, teams have installed their offenses and their defenses. Practice is oftentimes focused on the next opponent, walking through sets and fine-tuning recurring errors. Dinged-up veterans sit out and watch. What made it even more difficult was the fact that there is virtually no individual coaching and teaching in the NBA; the schedule is too difficult, the pressure to win too consistently great. There is an assumption that a player arrives in the league in full possession of all the basic skills. Either that or he sinks. I bring this up now because the Timberwolves have a unique roster construction that may allow them a special opportunity. You see, the Timberwolves have too many players. Scratch that–they do not have too many “great” players or talent, but they have too many players who will reasonably expect to see the playing floor, this year. Importantly, they do not have their own D-League Affiliate, which limits their ability to send unused players down for minor-league reps. From the looks of it, the Wolves have what sort of amounts to a “first team” and a “JV Team” and everybody is anxious to see how Flip Saunders will go about setting a regular rotation.